Stop By For A Tasty Treat! Kaup Pharmacy has an Authentic 1950’s Soda Fountain. 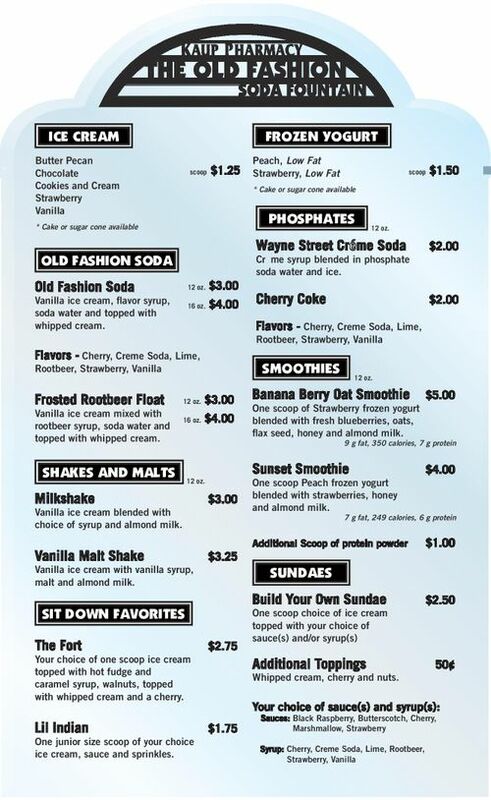 From a Traditional Ice Cream Soda, Phosphates, Shakes, Malts, Smoothies, we have something for everyone. Next time you are in Historic Fort Recovery, stop in for your very own Drug Store treat.